Many opponents of light rail make various claims that other technologies have not been fully investigated, or even looked at before the decision to build light rail was arrived at. 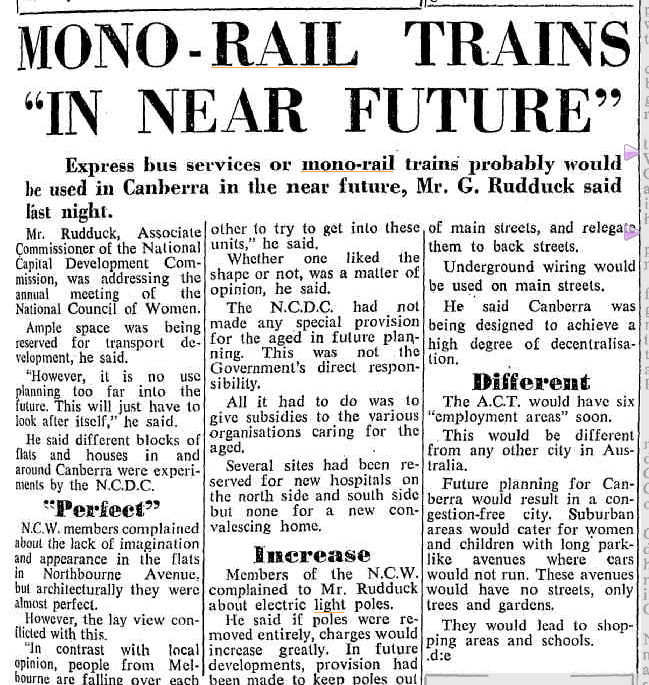 That is simply not correct, and a basic search through the National Library Trove database of newspapers shows that the Canberra Times have looked at and covered monorail several times, over several decades. 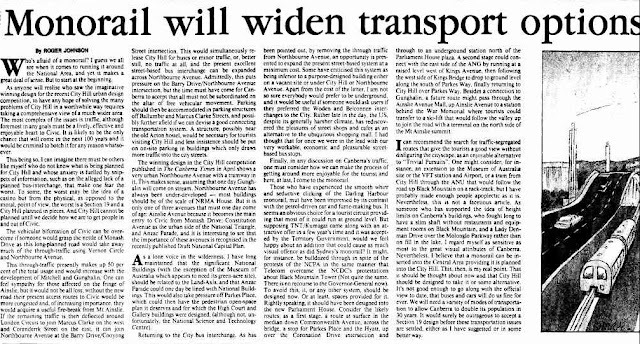 Proponents of monorail have had the same opportunity as advocates of other transport technologies to place their case before the public and decision makers. 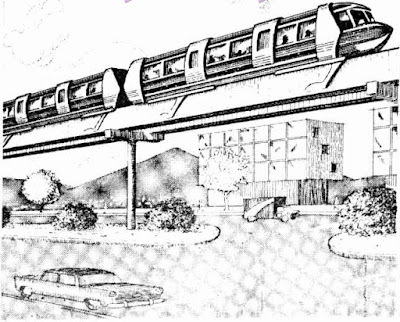 Monorail has not been used in many locations, compared to more conventional transport technologies, as it hasn't attracted enough development to be suited for mass transit. Light rail is used in thousands of cities around the world, and has hundreds of manufacturers offering proven technology. It is used by hundreds of thousands of commuters every day in several Australian capital cities. 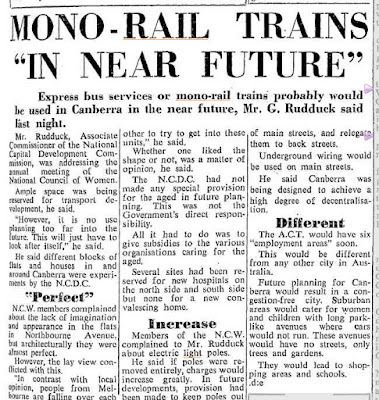 The only Australian city to use a monorail was Sydney, and that was removed prior to the expansion of the new light rail network. At the time, several hopeful locals opined that the ACT should purchase that redundant system and rebuild it here. 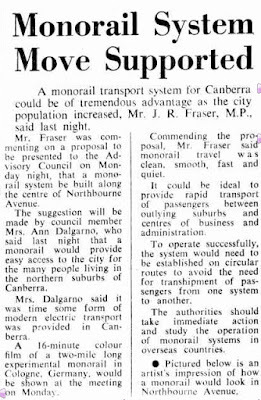 Demanding that contemporary transport planners consider fringe technologies for mass transit defies common sense. Monorail on the scale required to shift the volumes of commuters that Capital Metro predict, would not be good value for money. 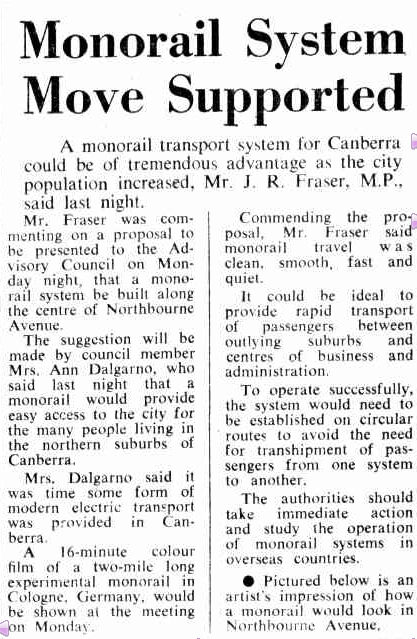 That is before the issue of whether the NCA would allow raised monorail stations, towers and rails down Northbourne Avenue, is even looked at. 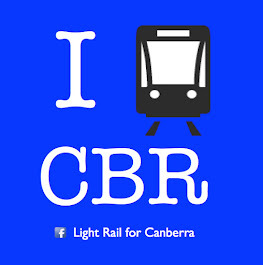 Light rail is the best mass transit technology for Canberra, supported by an integrated more frequent local bus service. That is the proposal that the ACT Government, and the Greens went to the 2012 Assembly election with, and that it has a mandate to construct. No one would vote for monorail.